We have had demands for a little scrub to be added to our soaps, so we came up with our two face range. 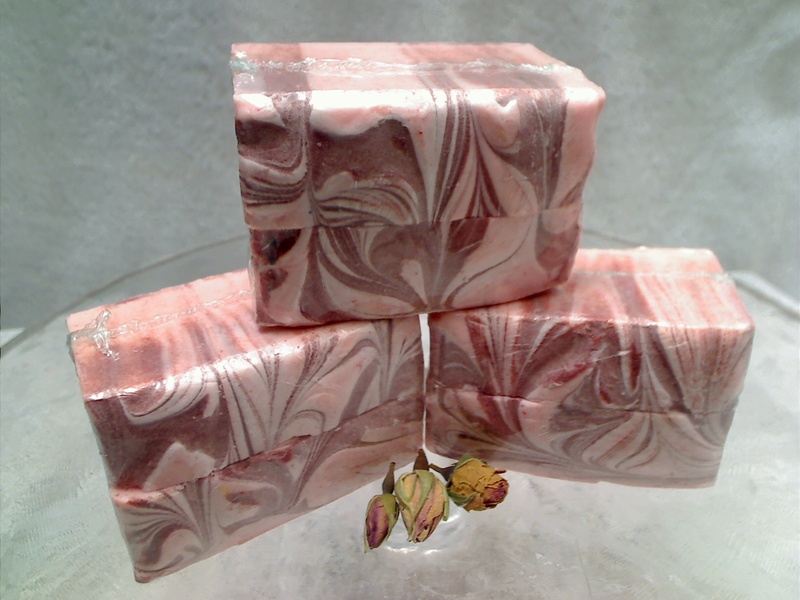 One side of this extremely popular rose soap now has jojoba beads and bentonite clay to let you exfoliate when you feel like it and you have another side (the side with the marbling) without the scrub for your everyday use. We love this versitile soap and it has 60% Extra Virgin Olive Oil for keeping your skin in tip-top condition. Ingredients: Extra Virgin Oil oil, Palm oil, Coconut oil, rose infused water, sodium hydroxide, red bentonite clay beads, jojoba beads, salt, mica, fragrance oil and geranium rose.